SE has curb appeal to spare, with an aerodynamic front profile and tri-colored metal exterior. 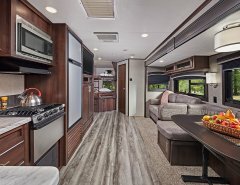 Standard features include power awning with LED light strip, outdoor speakers with LED lights, magnetic catches on baggage doors, spare tire with carrier, friction-hinge entry door, residential-grade linoleum and wider doorways throughout. Additional convenience features include backup camera prep, solar prep, and a battery disconnect switch. Unloaded vehicle weights (UVW) range from just 4,300 to 6,100 pounds, making Sportsmen SE ideal for the SUV or half-ton pickup market. Inside, kitchens feel like home, including drop-in range with glass cover, built-in oven, seamless counters, stainless steel sink, and 10-cubic-foot 12-volt refrigerator. 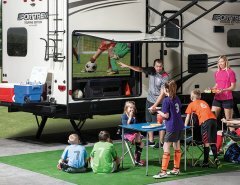 The multi-media stereo with DVD, Bluetooth and NFC wireless connectivity makes for easy relaxation after a hard day of play. “We created the SE lineup based on three popular LE floorplans, then added three new ones,” continued Froman. “According to dealers, the 240FBSE in particular has been an instant success.” Sportsmen SE has just three options: upgraded A/C, outdoor kitchen, and a 7-cubic-foot gas/electric refrigerator. 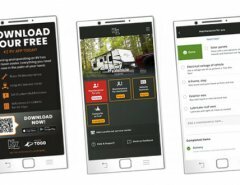 KZ Recreational Vehicles, a subsidiary of Thor Industries, Inc., is headquartered in Shipshewana, Indiana, and was founded in 1972 on the principles of quality, fairness, courtesy and integrity. 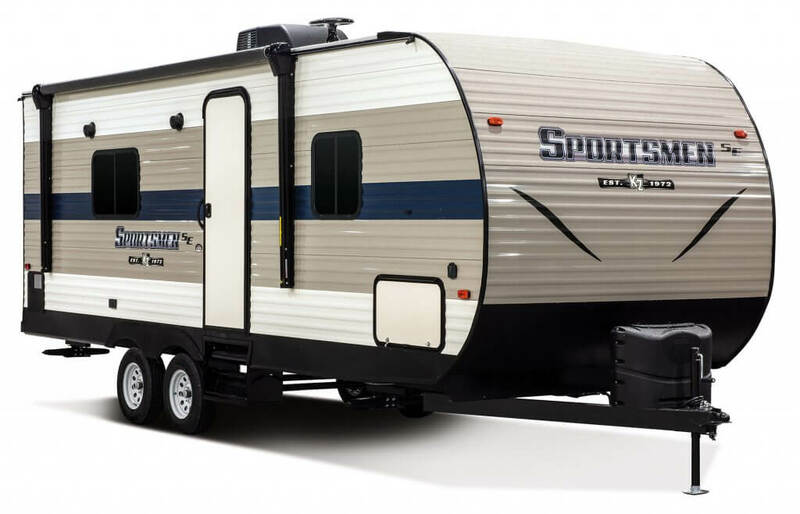 KZ produces several widely-recognized brands of recreational vehicles, including Classic, Connect, Durango, Escape, Sportsmen, Sportster, Venom, and Venture RV, including Sonic, Stratus and SportTrek. For more information concerning KZ and its products, please visit www.kz-rv.com and venture-rv.com, or call (888) 829-6320.